Standing Room Only: Jo Nesbø at The Poisoned Pen! You know that it's going to be a very special event at The Poisoned Pen when you show up more than two hours early and find hordes of people waiting at the doors for your favorite bookstore to open. When the doors were opened, there was a mass exodus to the chairs, and although I hobble more than I racewalk, I did manage to get my second choice in seating. The bookstore was packed well before the start time of 2 PM, and people just kept coming in. In between trying to find out the true pronunciation of Jo Nesbø's name ("It doesn't matter. When I'm in the US, I'm 'Joe Nezboe.'") and The Poisoned Pen's staff telling people that, due to the fire code, no more people could fit within the store, I was trying to make myself some elbow room so I could write, which was difficult due to the stranger doing his manspreading thing next to me. Finally, it was time for Jo Nesbø to make his entrance, and the photo below was the only one I was able to take in which you get to see a front view of the author's face. In taking a look at the picture, it looks as though he saw what I was doing and made a concerted effort not to look in my direction for the entire event. This is a bit annoying, but he's far from being the only author to spot my camera and avoid it. It's his face after all! It was Nesbø's first visit to Phoenix, and he came a couple of days early. He loves rock climbing and easily made it to the top of Lookout Mountain. The first thing interviewer Robert Anglen of the Arizona Republic wanted to know was if the author's latest book, The Thirst, was inspired by a bad Tinder date. "It was based on several bad dates, but none of them were my dates," Nesbø said, making us all laugh, but before anything more was said about his book, he talked a little about his home and where he writes. "I live in Oslo, and there is a beautiful view from the attic of my house. I had a big desk assembled up there and placed just so I could see that view. It is the only place where I cannot write! "I have a laptop that I take to my local coffee shop. If someone is sitting in my seat, I'll sit in another chair and stare at the person until they leave." If you're already getting the impression that Nesbø has a very good sense of humor, you'd be correct! "When meeting people on the internet was new, those first dates were very awkward. There was no real established guidelines, and it occurred to me that several scenes from these dates were pure literature. Well...many lines from these conversations made it into my book! "I had a rock-climbing friend who decided to go on Tinder dates, and I told her, 'If you do that, I'll be your wingman.' She did a lot of my research for me." Anglen asked, "Which came first, the blood drinker or the metal dentures?" Nesbø replied, "Actually they both were for a standalone novel I never wrote about clinical vampirism. What I was trying to do is to show how a thirst for bodily fluids and the quest for intimacy can become one." 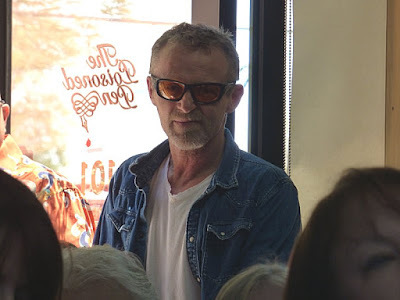 Nesbø also said that he didn't realize that he was writing about what was happening in his own life until his books started getting translated into other languages. When Anglen asked him why he didn't translate his own books into English, he replied that, although he does speak English well, he has yet to make that final leap into an intuitive grasp of the language. "Is it hard to write Harry?" "No," Nesbø said. "I think most writers have the tendency to use themselves, their own basic values and taste in pop culture when developing their main characters. What I found was that in the first two books, Harry was not the driving force but more of a camera lens." 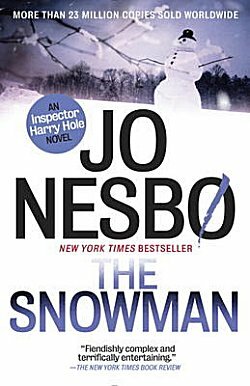 When Anglen pointed out the gap between the Harry Hole mysteries, the author said, "I took time away because I had ideas for standalones that needed to be written." Anglen said, "The Thirst ends in a courtroom setting. Are you trying to play with the genre?" "Yes, I am. 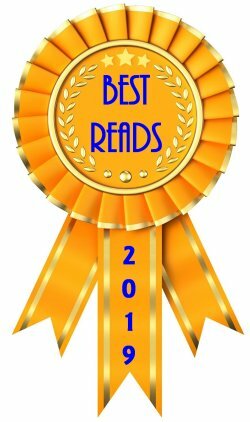 Readers are very educated due to the amount of television and books they are exposed to every day." Anglen: "Your books have been described as horror stories...."
One fan mentioned Occupied, a television series that Nesbø helped to create. 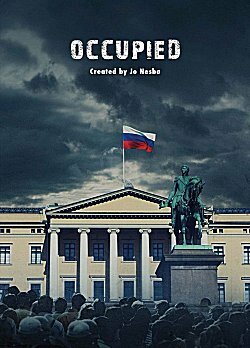 Here's the synopsis from IMDb: "In the near future, Norway is occupied by Russia on behalf of the European Union, due to the fact that the newly elected environmentally friendly Norwegian government has stopped the all important oil- and gas-production in the North Sea." Talk of this led Nesbø to talk about his own family. His grandparents lived in the United States, but were back in Norway with their children by 1940. Nesbø's father joined the Germans during World War II. His mother passed messages for the Norwegian Resistance. "As you can see just by my own family history, World War II is a source of both pride and shame for Norwegians," Nesbø said. "Today Norway is one of the richest countries in the world and ranks #1 in happiness and contentment. But I wonder... what would Norwegians today be willing to sacrifice for freedom?" I think that's a question many people have been asking themselves all over the world. 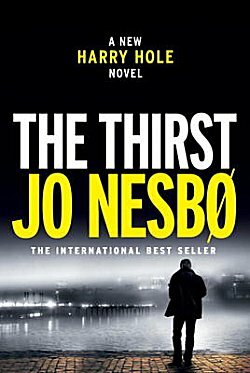 When serial killers were mentioned by another fan, the author quipped, "The problem is, there are more people killed by serial killers in the Harry Hole books than have been killed in Norway in the past one hundred years!" 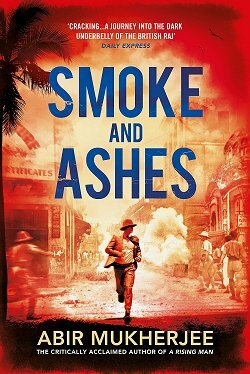 "What makes your books so enjoyable is the supporting cast of characters... and then you just kill 'em," Anglen said. "Yeah...well...they have to go!" Nesbø said with a smile. "The whole story arc is a tragedy, and when someone like Harry is morally tested, he is bound to lose what he loves." "You also love trolls [anti-heroes]," Anglen observed. "Yes, they are useful to describe the worst parts of ourselves," the author said. 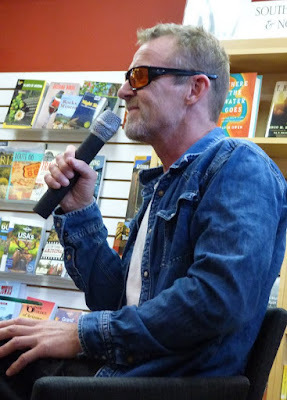 When a fan mentioned something about a specific killing in Norway, Nesbø joked, "I thought I knew every murder in Norway, but that one I don't know!" Another fan wanted to know what led Nesbø to write his Doktor Proktor series of childrens books, a series that features a doctor and a young boy who develop a very powerful fart powder. "When my daughter was very young, she would order me to tell her stories, and she would give me the ingredients. 'I want a young girl-- a princess-- who looks like me. I want a young boy much smaller than me. A professor. And a potato.' 'How about some farting?' 'No, Daddy!' 'Just a little bit of farting?' 'Well...all right...' So I wrote a story about a professor who invents a powder to prevent farting, but it doesn't sell very well until a little boy persuades him to reverse the formula. The reversal works so well that they find themselves selling the farting powder to NASA so they can shoot people directly into space. The Germans bought the series solely because of the title!" Do I have to tell you that he had us all laughing? 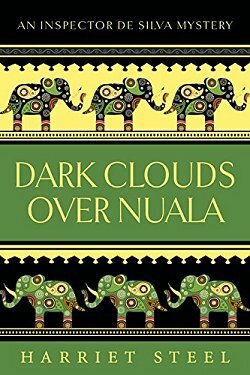 "I don't read translations [of my books] just to save myself the frustration of seeing something that wasn't translated well." "The total population of Norway not quite equals the population of the Phoenix metropolitan area." "I don't read that much crime fiction, and I didn't before I started writing it either. I like to read classics like Balzac, Dickens, and Twain. I also like Jim Thompson, Charles Bukowski, and Jack Kerouac." "Harry did travel for a while but now he seems set in Oslo. It's where the story takes me, although I wouldn't mind Harry coming to Phoenix." "There will be a second season of Occupied." "I don't believe in being loyal to my readers. 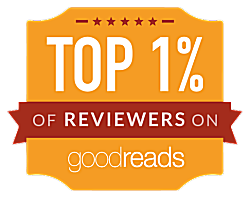 I believe in giving my readers something they didn't know they wanted." "When I need help with a police procedural question, I just call up the Oslo station house. They have been very helpful." As you can imagine, there was no way I could write everything down that was said during the event, but if any of you are interested, it was recorded, and you're more than welcome to watch and to listen to every single word on The Poisoned Pen's Livestream channel. Even though we were packed in like sardines, I enjoyed myself so much that I did forget to scribble a few things down! 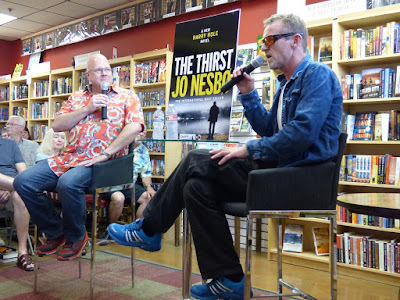 The good news is, the next time Jo Nesbø comes to the Valley, the event will be held at a hotel so that there will be room for all. And-- if you get a chance to attend one of Nesbø's events, don't miss it! I can well imagine why that was an SRO experience, Cathy! A rare opportunity, and I'm glad you shared it with us. I'm glad you liked it, Margot. A lot of run was had by all, it sounds like. Good write-up, enjoyed reading it. Thanks Kathy. I'm glad you enjoyed it.